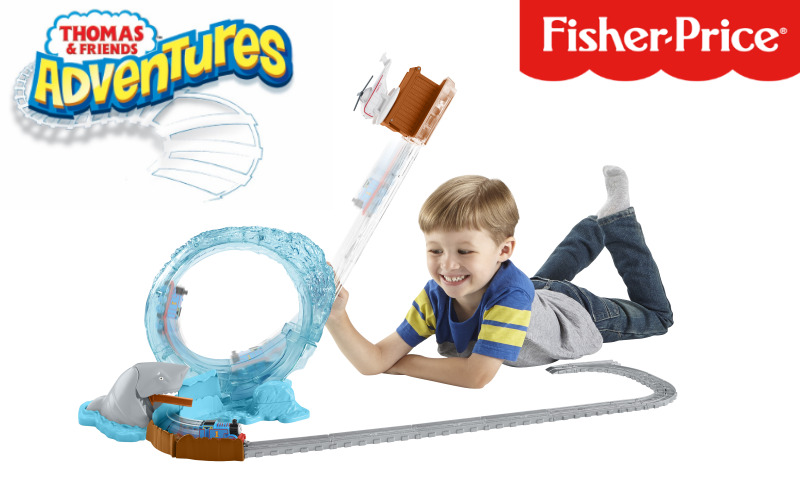 Win a Thomas & Friends™ Adventures Bundle! Thomas and Harold are helping to prepare for a big storm that’s about to hit Sodor with the new Thomas & Friends Adventures Shark Escape. Control the action as Thomas is transported high above the waves to safety in his crate by Harold. When Thomas breaks free from the crate, he goes on a wild, splashy ride through the waves and heads straight for the chomping jaws of the shark! This getaway adventure is sure to inspire little one’s imaginations and get Thomas back to his friends. Lucky winners will also win the new Thomas & Friends™ Extraordinary Engines DVD, and Adventures Engine Hugo from the film. Hugo is the most unique engine yet with his very own propeller, and loves travelling around with Thomas and the rest of his friends!